Who is accountable for ensuring that employees apply on the job what they learned in a workshop or class or similar event? This is called training transfer or transfer of learning. If you’re not in the training and development field you might wonder why you should care. After all, the individual attended a workshop. That’s the important part, right? Actually, it’s only the first important part. And if people don’t apply what they learned, they forget it. Time and money will have been spent and you won’t get improved performance or any of the other benefits that should or could be the result of training. So again, who should be accountable? Management wants the training organization to be accountable for it. Prominent leaders of the training and development field also want the training organization to be held accountable for it. Take a look at two of the best known evaluation models in the field, from Kirkpatrick and Phillips. Both Kirkpatrick and Phillips point out the challenges of transfer of training and strongly encourage trainers to persuade managers to get their employees to apply what they learned. They also provide tools and techniques managers can use to help the application process. But if managers don’t do this – and most don’t – who is supposed be accountable? According to Kirkpatrick and Phillips, it’s the trainers. According to management and quite possibly the participants in the training program, it’s the trainers. Review this short list of the steps the manager and employee should take before, during, and after training. Given this list, who should be accountable? The manager and employee identify – as specifically as possible – what knowledge and/or skill the employee needs to learn or enhance. The manager and employee find a workshop/class that addresses the need. The employee attends the training. When the employee returns, the manager follows up with the employee to find out if he/she learned what they agreed on. The manager arranges for an assignment or some other activity that will help the employee begin to gain experience and deeper knowledge/skill in the area the employee received training. The manager also re-sets the employee’s priorities and schedule. This makes it possible for the employee to take on the assignment. The trainer appears only once in this process: to deliver the training program. The trainer does not follow the employee back to work or arrange for on the job application. In other words, the trainer has no control over what employee does or doesn’t do when the employee returns to work. The manager is involved in every step except training delivery. The employee is involved in all of them. Practically speaking, the manager has the most control – before the training and after. It is the manager (and employee) who should be accountable. Apparently managers don’t see it that way. There’s research that tells us what managers do regarding on-the-job-application of learning. The news isn’t good. 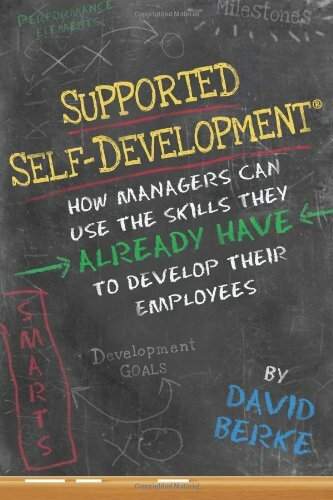 Managers rarely set expectations with learners before they attend development programs. For 75% of organizations expectations are set 25% of the time or less. After employees attend a class or workshop, only 11% of managers actually hold employees accountable for applying what they learned to their jobs. 41% simply encourage their employees to apply what they learned. And when it comes to supporting changes in performance, only 22% of managers observe and provide feedback within 90 days after training; only 21% reprioritize daily tasks to emphasize use of what was learned. When managers don’t take some very simple steps before and after an employee attends a training program, there’s a good chance that training will be wasted. By some estimates, over 50% is wasted. There’s nothing magic about the steps the manager should take. They’re actually very similar to the steps needed to delegate an assignment. That means most managers already know how to do this and all managers should. Place accountability where it belongs: on managers and employees. Trainers have no control over on-the-job application of what was learned in a workshop. Holding them accountable for it simply ensures that the problem will continue.